ISLAMABAD: The Foreign Office on Tuesday said Canadian foreign minister telephoned Shah Mehmood Qureshi a day earlier and spoke about Asia Bibi, who was recently acquitted by the Supreme Court in a blasphemy case against her. 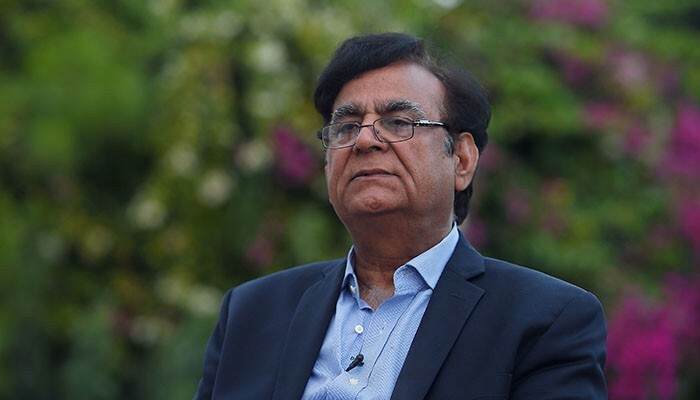 Dr Muhammad Faisal tweeted that the Canadian foreign minister during the phone call “appreciated Supreme Court’s courageous decision” acquitting Bibi and the prime minister’s “positive speech”. “FM Qureshi said that Asia Bibi is our national and Pakistan fully respects her legal rights,” Dr Faisal said while quoting the Pakistani foreign minister. A day earlier, Canadian Prime Minister Justin Trudeau said that his government was holding talks with Pakistan over potentially offering asylum to Bibi. “We are in discussions with the Pakistani government,” Trudeau said in an interview with AFP in Paris, where he was attending a peace conference organised by French President Emmanuel Macron. “There is a delicate domestic context that we respect which is why I don’t want to say any more about that, but I will remind people Canada is a welcoming country,” he said. Trudeau was in Paris to attend a peace conference organised by French President Emmanuel Macron. Asia Bibi, who spent eight years on death row before being released, is in protective custody because her life is in danger from those who disagree with the acquittal. Bibi's husband, Ashiq Masih, has appealed for help to Britain, Canada, Italy and the United States. Protests had erupted in several cities after the Supreme Court acquitted Bibi on October 31. Enraged masses had blocked several routes across the country for three days, while at some places they had also set fire to vehicles. The demonstrations saw closure of schools, colleges and universities, as well as cancellation of examinations. The agreement signed by Federal Minister for Religious Affairs Noorul Haq Qadri and Punjab Law Minister Raja Basharat and Pir Mohammad Afzal Qadri and Mohammad Waheed Noor from the TLP stated that the government will not object to a review petition over Bibi's acquittal. Due process will be followed immediately to include the name of Asia Bibi in the Exit Control List (ECL), it was further agreed. Bibi's lawyer, Saiful Mulook, fled to the Netherlands last week citing threats to his life.